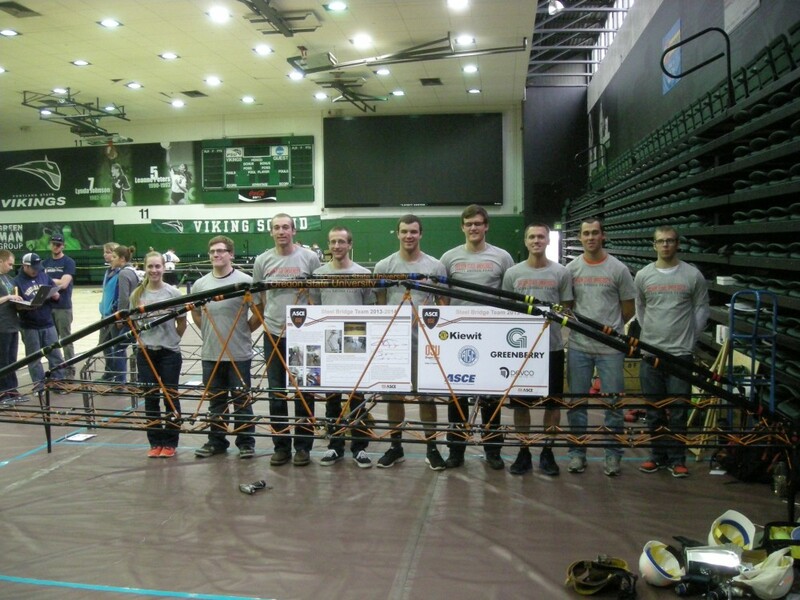 Last week, the OSU ASCE steel bridge team captured the team title at the 2014 ASCE Pacific Northwest Student Conference. 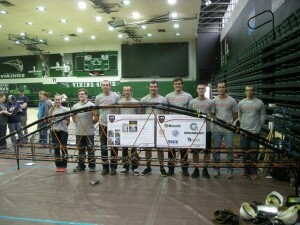 With the victory in the steel bridge competition, OSU will advance to the ASCE national competition, held from May 23-23 in Akron, Ohio. The performance marked the first time in over 10 years the group has advanced to nationals. With a goal of raising $5500 for the trip to nationals, supporters can contribute to the trip by visiting the group’s fundraising website. The victory in the steel bridge competition capped a solid weekend for OSU ASCE as the group placed second in the environmental competition and concrete bowling ball competition while the concrete canoe team placed third. Portland State University hosted the 2014 student conference from April 25-27 as it featured over 350 students from universities in Alaska, Idaho, Washington, Oregon, and Montana. A complete rundown of OSU results is below. Kristina Milaj in the Technical Paper and Presentation Competition. The four ASCE members who participated in the Surveying Competition. The Oregon State University School of Civil and Construction Engineering, in partnership with OSU Wood Science and Engineering, introduced the newest addition to the Oregon BEST Green Building Materials Lab (GBML) with an open house for the state-of-the-art Multi-Chamber Modular Environmental Conditioning System (MCMEC) on Thursday, April 30. The newly-installed unit, one of only three in North America and Europe, is designed to apply realistic environmental and accelerated weather conditions to full-sized research samples. With the capability of creating three separate chambers within the unit, researchers can simulate multiple conditions to the same sample, allowing for maximum flexibility in the design and setup of experiments. The open house served as an introduction of the unit to industry and government research partners. 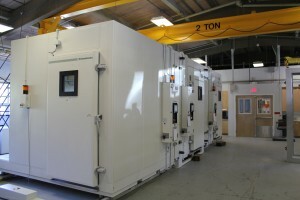 As a shared-use facility, the Oregon BEST GBML is available for government and outside companies to reserve for their own research. The approximately $850,000 unit was made possible primarily through grants from Oregon BEST and the M.J. Murdock Charitable Trust. For more information about the Oregon BEST GBML, contact Jason Ideker, OSU assistant professor, at 541-737-9571.